These rock-solid JFK assassination facts are more fascinating than any conspiracy theory ever could be. 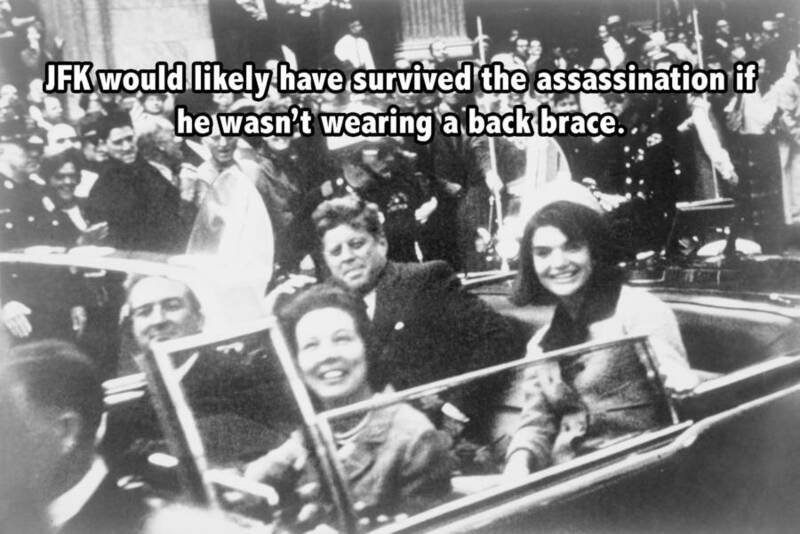 Kennedy would likely have survived the assassination if he wasn’t wearing a back brace. 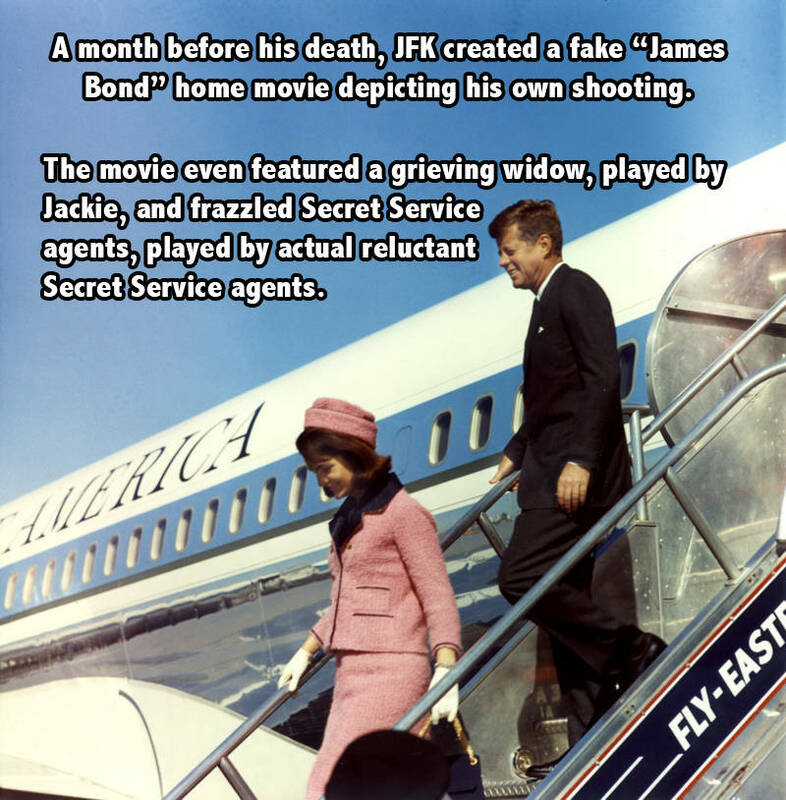 A month before his death, Kennedy created a fake “James Bond” home movie depicting his own shooting. 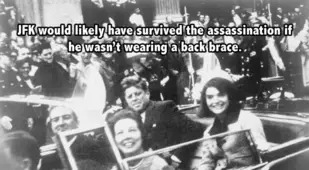 Kennedy survived a previous assassination attempt two months before his inauguration. 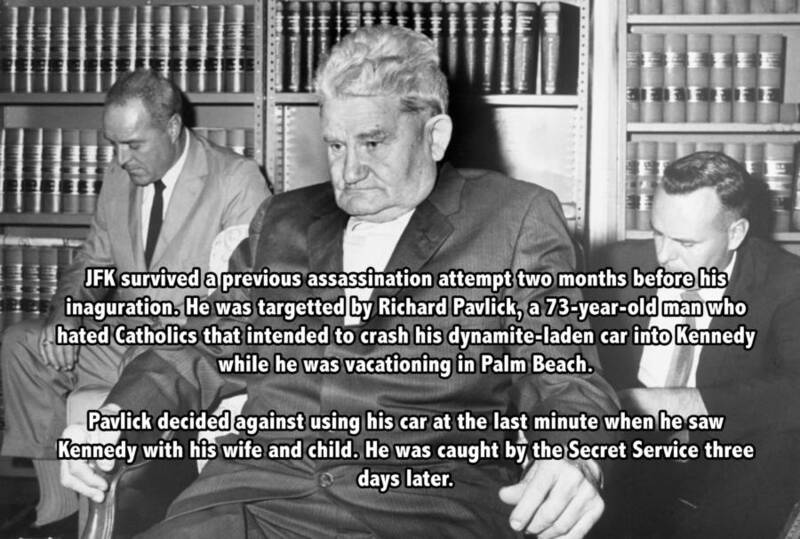 He was targeted by Richard Pavlick, a 73-year-old man who hated Catholics and had intended to crash his dynamite-laden car into Kennedy while he was vacationing in Palm Beach. 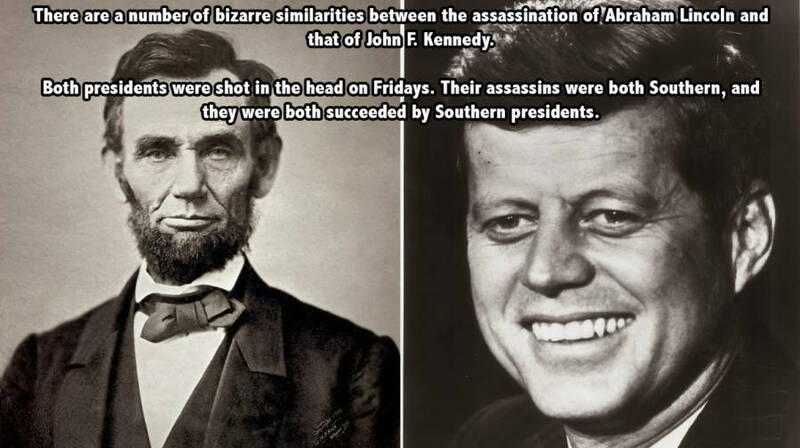 There are a number of bizarre similarities between the assassination of Abraham Lincoln and that of John F. Kennedy. Both presidents were shot in the head on Fridays. 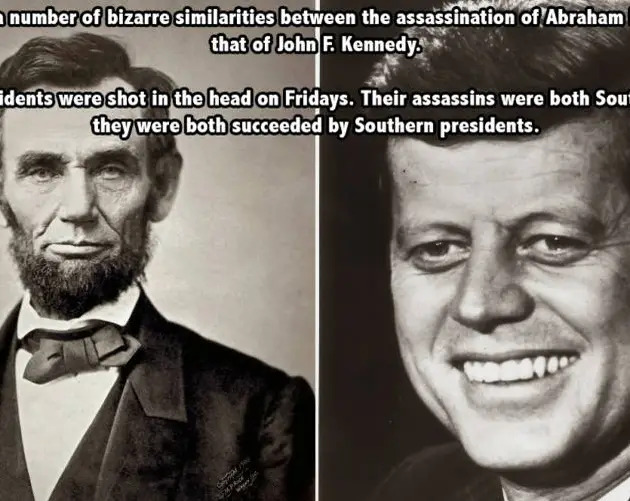 Their assassins were both Southern, and both presidents were succeeded by Southerns. 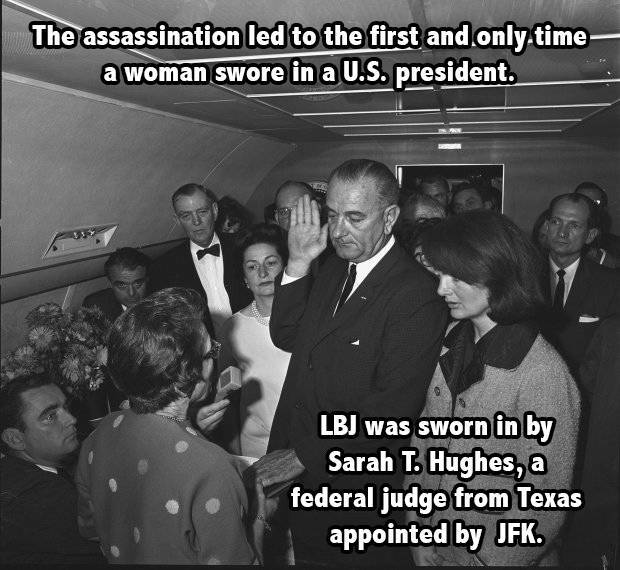 The assassination led to the first and only time a woman swore in a U.S. president. Oswald had previously tried to assassinate a political opponent of John F. Kennedy. Six months before the assassination, Oswald attempted to kill retired Army general Edwin Walker with the same gun he used to killed Kennedy. Jackie Kennedy refused to change out of her blood-splattered pink suit after the assassination, and even wore it to the swearing in of Lyndon Johnson. Kennedy’s family decided not to tell his grandmother, Mary Josephine Hannon, about the assassination as she was 98-years-old. She died 10 months later without ever knowing of his death. Two former building owners of the Texas Schoolbook Depository both claim to own the window that Oswald shot through. Assassinating the president wasn't a federal crime in 1963. Jackie’s request for an eternal flame for her husband’s grave at Arlington Cemetery was made only the day before the funeral. 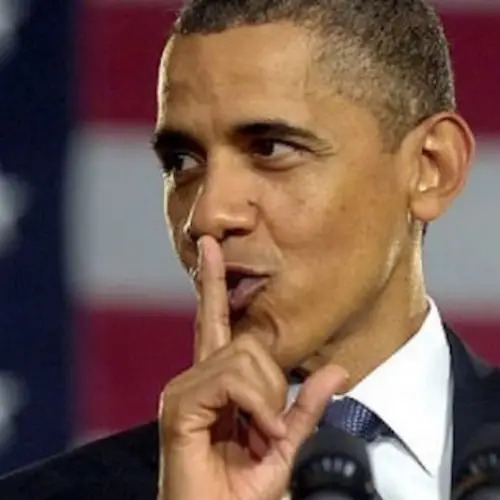 With thousands of new documents related to the JFK assassination finally released to the public this week, many have realized just how much they don't know about this historic event. On November 22, 1963, the course of U.S. history changed forever when John F. Kennedy was shot to death in Dallas, Texas by Lee Harvey Oswald (whose role in the assassination remains in dispute among amateur skeptics and conspiracy theorists). Oswald was soon apprehended in a nearby theater, after shooting and killing police officer J.D. Tippet, who had rolled up alongside Oswald after seeing that he matched the description of the Kennedy shooter. 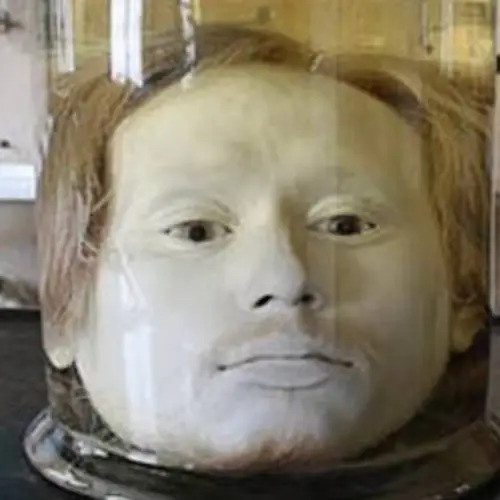 Then, Oswald himself was shot to death by a local nightclub owner and minor underworld figure named Jack Ruby before he could stand trial for Kennedy's murder. 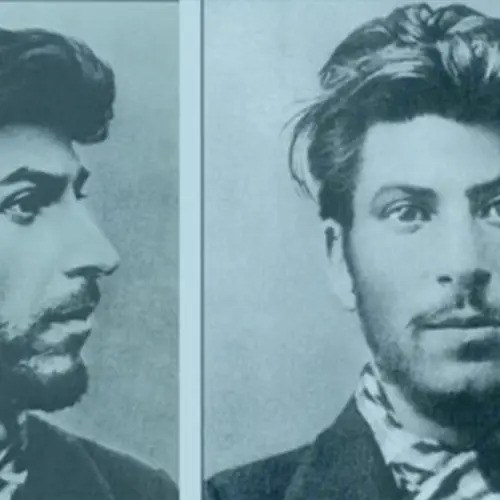 Ruby committed suicide soon after, and with the major players now gone, much of the mystery behind the assassination may have died with them. 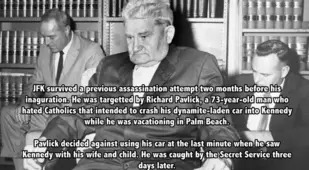 Despite, or perhaps because of, this, the assassination has remained one of the most hotly-debated points of interest among conspiracy theorists for decades, with many laying the blame for Kennedy's death on parties including Cuba, the CIA, the Mafia, and even then-Vice President Lyndon B. Johnson. But while such speculation has held people's interest for decades, little of it is likely grounded in fact. 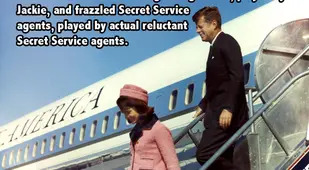 Above are some of the most fascinating JFK assassination facts you'll ever read. 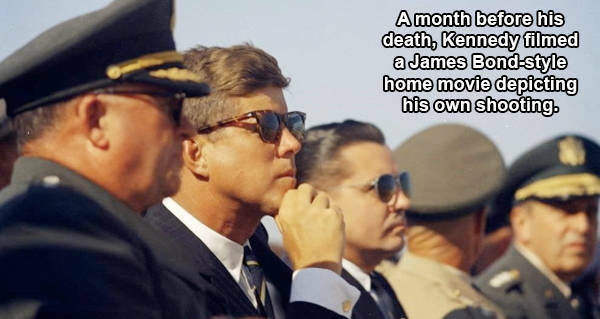 After having a look at these JFK assassination facts, see some of the most powerful Kennedy assassination photos you'll find anywhere. Then, read about the four strangest presidential assassination attempts of all time.